I have carpal tunnel and extreme myofascial tightness in my calves and am going to try a magnesium remedy. I understand I need twice as much calcium as magnesium. I will work up to 950 mg of magnesium. So: how much calcium do I need? 1800 mg? Can you OD on calcium? Should calcium be taken on an empty stomach or is it also absorbed with food? My mother told me it's good to take calcium before bed as it's absorbed overnight. True? How much calcium can the body absorb at any one time? *the fibrocomplex (metagenics.com) has thiamin 50mg, b6 50mg, magnesium 150mg, malic acid 600, manganese 5. 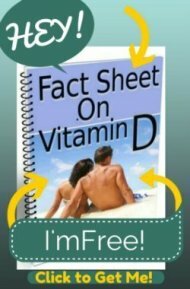 I also take vitamin D 4000 IUs (Carlson), C 500-1000mg, E 400mg. The calcium supplement I use is Caltrate. Any concerns/comments on my regimen? Thanks!! Oh! I also take EPA fish oil 500mg 2x per day. Since I developed the calf problem, I've just increased to 500mg 4x per day. I am 41, weigh 125 and exercise a LOT--I'm sure I have magnesium deficiency via sweating a lot. I'm REALLY glad that you checked with me first. There is no rule that says that you need twice as much calcium as magnesium. That's kind of a general rule- for those that don't know about magnesium and vitamin D.
Actually, once you start taking vitamin D and magnesium, then the calcium that you are taking is going to actually be ABSORBED, so you won't need that much. If you eat green vegetables on a regular basis then you are likely getting a significant amount of calcium. So unless you have a doctor recommendation to take more- I NEVER recommend more than 1000 mg of Calcium. So, First of all Caltrate contains Calcium Carbonate which is the POOREST absorbed calcium you can buy. While Jigsaw Health's Essential Daily Packs has 500 mg of Calcium Citrate and Calcium Malate- an excellent choice. 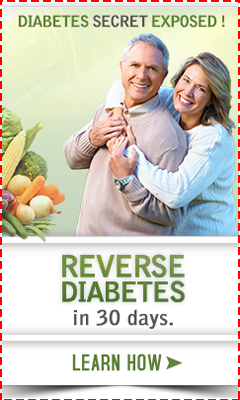 So, really, you may not need to take more than what is already in Dr. Mercola's because you will actually ABSORB it. Calcium needs to have stomach acid to absorb, so IF you can tolerate it, you can take the Mercola Vitamins on an empty stomach. But you may need to take it with food because it might upset your stomach, so take it with food and that will be fine. So as far as the magnesium, you'll be getting 750 mg in the Mercola Vitamins and in the Fibroplex. That might be PLENTY, but if you can get up to 1000 mg per day, that will be great. But you might not even be able to take the ionic magnesium fizz! I am a very healthy person, I have been from a very early age, I do plenty exercises and sport and eat all rounded healthy food, chicken rather than red meat, eggs, beans, cereal, wholemeal grain bread, plenty vegetables, plenty fruit, no oil, no sugar, no salt. I drink plenty milk, white cheese, yoghurt etc. Have no illnesses pains or ailments. I am 56. However lately I started getting severe cramps in my legs, and pain in my ankles and knees. The cramps are severe to the point that I could not play squash, jog or even walk. I saw one doctor and then a specialist, they took away my fear of varicose veins but said that with certain tablets it would disappear and it did... only to return after I stopped taking them... the cramps extended to night cramps when I was sleeping making me jolt out of sleep. I was not satisfied with the 2 doctors "cure" because these anti inflammatory tablets can be taken for a very limited period only. I then went researching the internet and found that all health and medical sites attributed it to lack of Calcium, magnesium, vitamin D and potassium... and especially not enough daily water! Even though I am allegedly healthy I realized my major fault, NO water; I thought I got enough from coffee, herbal tea, black tea and milk (ignorance) and the multivitamin I was taking had almost no magnesium, potassium or Vitamin D.
I also read that you cannot recommend the exact general doses and that it depends on each person and their habits... however there must be a certain average and that is what I would like to ask. o	Magnesium: 400 mg Must NOT have Magnesium Oxide or Hydroxide… only Malate or Anstrom, or Elemental or Chelated, or Glycinate Magnesium. The problem I now faced was that whilst in US and Australia you can buy each one separate, in the country where I am working on a project they have only mixtures, none adding up to the required figures. The result is that in 3 days all the cramps went away! Whilst I should be happy, I still think I should do better if I can know the average doses I should take and I would appreciate having your recommendations. Thank you for all your good writing and patience reading this long comment. Unfortunately, asking me to evaluate your diet and all of the supplements that you are taking and make recommendations is far beyond what I can do in a paragraph or two on a thread. I'll direct you to purchase a Functional Medicine Consultation with me here if you would like more help with evaluating your supplement regimen and helping to correct your health issues.